Shell Vacations, one of the nation’s leading independent vacation ownership development organizations, has recently promoted Jack Waller to Vice President of Marketing for Shell Vacations. In his new position, Waller will be responsible for tour generation at all Shell Vacations Club (SVC) sales offices company-wide. 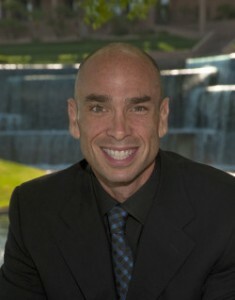 Previously serving as National Director of Marketing, Waller was responsible for the design and implementation of company-wide marketing programs, as well as overseeing the National Marketing Center, which provides fulfillment for certificate programs, package programs, internet programs and marketing call center operations. Waller brings over 18 years of vacation ownership industry marketing experience. He joined Shell Vacations in 1993 as a Marketing Manager and advanced to become SVC’s National Director of Marketing. Waller is known as an industry leader in direct marketing programs for vacation ownership and has been awarded many industry distinctions, including a Silver ARDA Award for Marketing Executive/Large Project. “With his diverse background in marketing and finance, Jack has significantly lowered our costs and has centralized many operations that support the timeshare division,” commented Jack Chevrier, executive vice president of Sales and Marketing for Shell Vacations. “His leadership skills and passion for innovation are foundations for Shell Vacations and I am proud to have him head the Marketing division for our future growth. He has accomplished several major changes that have kept SVC a competitor in today’s marketplace when quality and lower costs are vital to a company,” said Chevrier. Headquartered in Northbrook, Illinois, Shell Vacations LLC is recognized as one of the most respected independent vacation ownership developers in the United States, operating 25 resorts in the U.S., Mexico and Canada. The company specializes in the sales and hospitality management of vacation ownership resorts as well as servicing over 115,000 owner and member families of its vacation ownership products.